Air Canada reported a C$100 million ($77.5 million) net profit for the first quarter of 2016, reversing its C$309 million net loss in 1Q 2015. “Despite somewhat unsettled economic times in Canadian resource markets, a very competitive domestic pricing environment and a continued weak Canadian dollar, we were able to increase our revenue base … deliver on our ROIC target [17.4 %], produce a record EBITDAR level [C$460 million] and take delivery of four new Boeing 787-9 aircraft,” Air Canada president and CEO Calin Rovinescu said. The company now expects its full year 2016 EBITDAR will increase between 4% and 8% over 2015, Rovinescu said. Air Canada’s first-quarter revenue rose 2.9% year-over-year (YOY) to C$3.34 billion while expenses increased 5% YOY to C$3.19 billion, producing an operating profit of C$154 million, down 23% YOY from C$200 million in 1Q 2015. The airline’s first-quarter traffic increased 7.7% YOY to 16.09 billion RPMs on an 8.2% increase in capacity to 19.83 billion ASMs, producing a load factor of 81.1%, down 0.3 points YOY. Yield fell 4.7% YOY to C$0.174. “[The] 787-9 aircraft that entered our fleet in the quarter are providing us with significant productivity improvements,” Rovinescu said, adding the company is seeing a marked increase in the number of international and US-originating customers. “[And] Air Canada rouge continues to exceed our expectations and is allowing us to compete more effectively in leisure markets,” Rovinescu said. 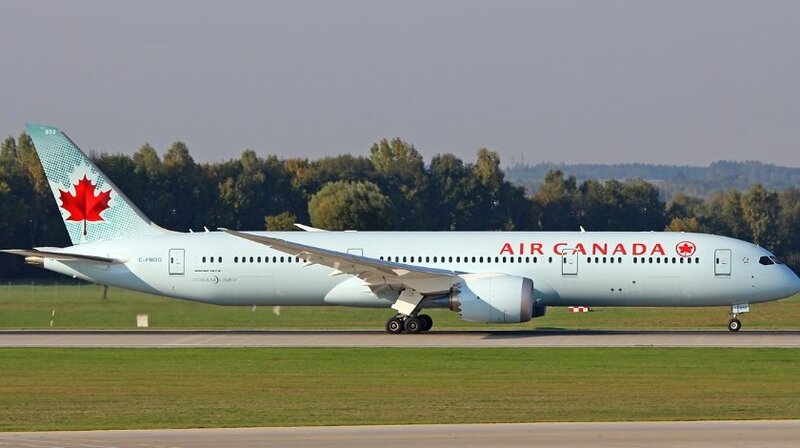 As of the March 31 end of the first quarter, Air Canada had outstanding purchase commitments with Boeing for 21 787 aircraft and firm orders for 33 737 MAX 8 and 28 737 MAX 9 aircraft with substitution rights. In February, Air Canada signed a Letter of Intent with Bombardier for the purchase of up to 75 Bombardier CS300 aircraft as part of its narrow-body fleet renewal plan.